Because You died, Lord,… but first, You were born for me. When the Christmas bells are ringing and the choirs are singing, I’m always left wondering why we have to wait a whole year to truly celebrate the life of special people? 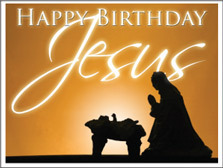 I, for one, believe that just as I thank HIM for dying for me each day, I thank God for sending His only Son every day. For me it’s as simple as this: Not WHEN He was born, but THAT He was born. So yes, it makes life a little less complex to set a date for celebration. But it might as well have been the 25th of July. Or the 28th of October. Dates that mean (another kind of) the world to me. Special dates that happen to be birthdays of loved ones. The point is that those loved ones happen to BE or have been in my life. If I cannot truly celebrate my salvation every single day of my life – what is the point of celebrating HIS birthday on what happens to be the 25th of December? If I can’t be thankful (and therefor celebrate) each and every loved one’s existence every single day that I am blessed to share my life with, what use would it be for me to throw them a party on what happens to be their birthday? I know I can’t cook the turkey all year round (jinne julle, daai’s darem ‘n lelike voël as ek al ooit een gesien het! 😯 ) ; no reason to stuff my face with stuffing every day 🙄 , the more kaggelkakkies I put up with right through the year, the more dusting I’ll have to do and the more I douse everything with brandy custard, the more hangover cures I’ll have to endure 😳 – so the 25th of December is as great a day for me as any. To be able to have, if nothing else, this ONE thing in common with millions of people all over the world on this special day. Celebrating a special occasion. THE most special occasions of all… (seeing you have to be born to be able to die, 🙄 ja?). and you may take a deep breath and realize: you’ve got it all wrong. Realize that it really is not about ‘those people’. It’s about Him… and about you. If I celebrate my daughter’s birthday with her, she will remember what I gave her, what I said and the sharing of emotion we had. Neither her father’s nor her brother’s nor her cousins’ or friends’ way of partaking will change ANYTHING about what WE share and HOW we share it – she and I. And between US, NOTHING and NOBODY can make or break that connection) – and often I find myself staring at the Love of my life, or one of my children thinking: “Thank God for your existence!” – which ultimately simply boils down to “Happy birthday” – for each new day is another new birthday, (sort of), ja? my talents, my generosity, my patience, my kindness, my caring and my love. to rejoice, reflect and remember what you’re really here for: To serve and praise HIM in all the ways and with all the means at your disposal. “For me it’s as simple as this: Not WHEN He was born, but THAT He was born.” AMEN en AMEN! 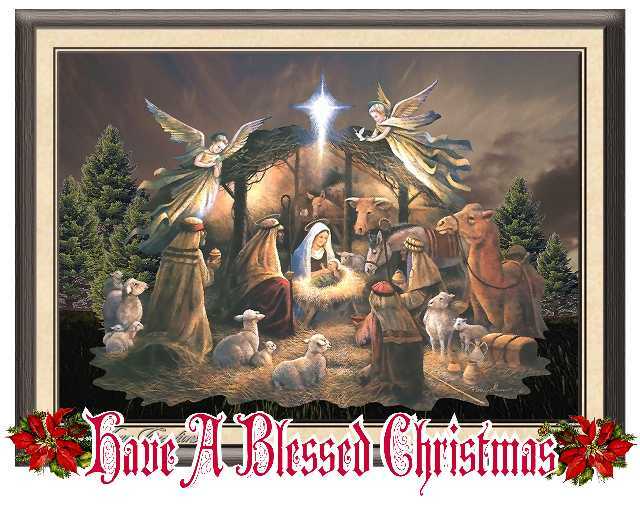 May you have blessed Christmas with your family and your Lord! Here is something wrong! It should read “our Lord”! Ek hoop die gekokery het goed afgeloop. En ja, ons mag dalk op een dag in die jaar heeltemal oorboord gaan om die Christusdag te vier (want dit is mos ‘n verjaarsdag altemits! ), maar ek glo daar is darem genoeg mense wat hul liggies laat skyn die ander 364 dae ook – ons moet net seker maak ander kan dit in ons doen en late en woorde sien.